T-R PHOTO BY ADAM SODDERS - Blood Dairy LLC co-owner/operator Melissa Blood, right, led a Marshalltown Schools teacher externship tour of the companyÕs facilities Tuesday morning. 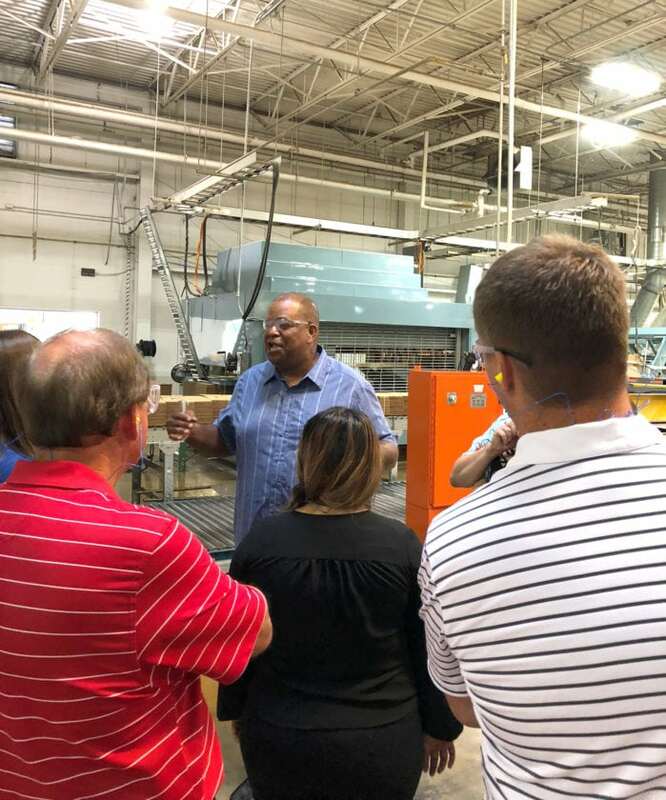 The externship tours are taking place throughout the week, as about four dozen teachers learn about local business and industry before heading back to the classroom Aug. 23. For students, the classroom can seem far away from the working world, and Marshalltown teachers are learning how to connect real-world careers to what their students learn. Teachers and administrators are touring several Marshalltown and Marshall County businesses and industries to get an idea the careers available locally, as well as the skills employers look for in job seekers. The tours began Monday at Marshalltown Company, Emerson and Packaging Corporation of America. 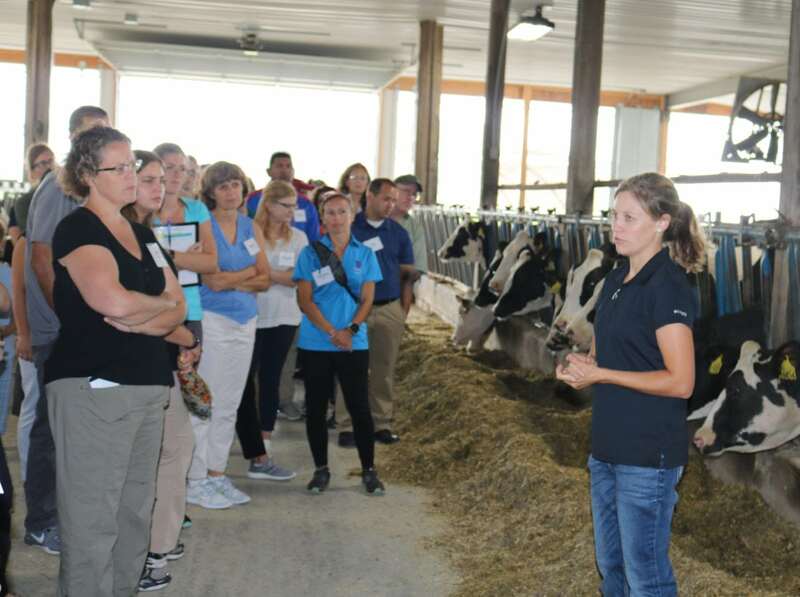 Tuesday, the group of about 50 teachers and staff toured Blood Dairy LLC near State Center, a Pioneer dealership, and Burt Farm and Livestock Co. north of Marshalltown. “It was fantastic to see the technology used in the companies here and get a chance to see what was behind all these company doors,” said Lenihan Intermediate School sixth grade teacher Leah Mattox of the tour of the city’s manufacturing sector. She said employers repeatedly brought up “soft skills” like working well with others, coming to work on time and critical thinking as desirable features in employees. CONTRIBUTED PHOTO - Packaging Company of America General Manager Michael Miller, center, spoke with district teachers and staff about what the company does and what they look for in prospective employees. District Career Development Coordinator Nicole Critchfield said teachers found many ideas to emphasize in the classroom. “It was very beneficial to find out that the things we are teaching, like the soft skills, in K-12 classes are very important to the employers,” she said. Critchfield said teamwork is another area for educators to prioritize with students. The group will focus on local health services Wednesday, with plans to visit the Iowa Veterans Home, UnityPoint Health-Marshalltown, Iowa River Hospice, Marshalltown Family Dentistry and Clark Dentistry. 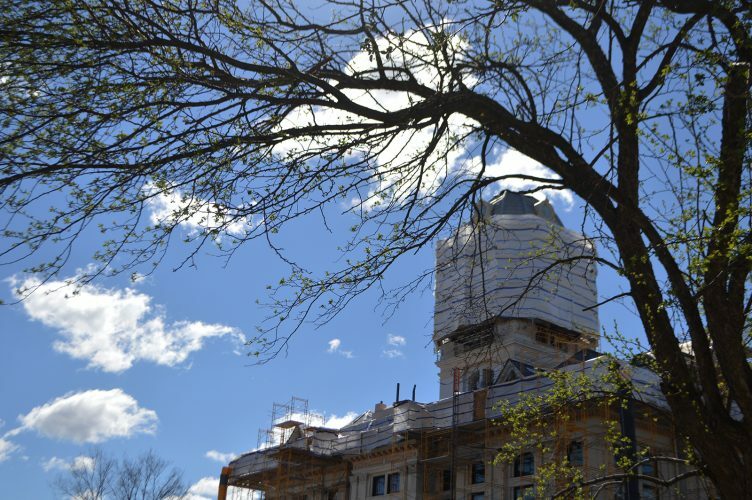 On Thursday, the externship tours wrap up at the construction sites of the joint fire-police station and Phase II of the Marshalltown High School Roundhouse project. With the conclusion of each day’s tours, the teachers will sit down and brainstorm ways to incorporate what they’ve experienced into their day-to-day work of educating children. 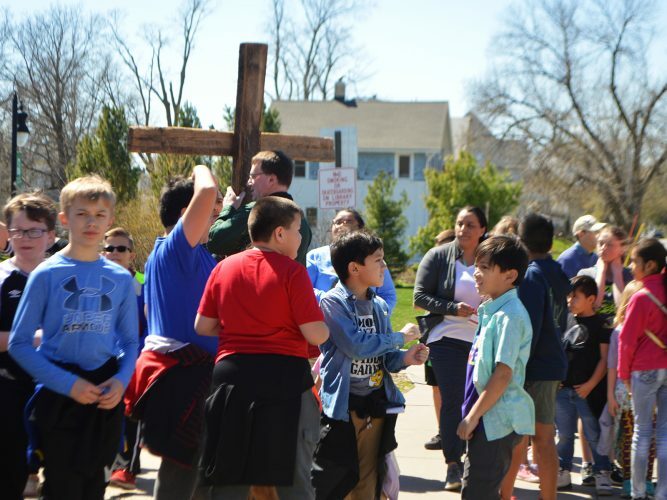 After what she had seen so far this week, Lenihan sixth grade teacher Angie Lovell said she has some ideas to bring to her classroom, such as using vocabulary terms like “soft skills” and “employable” more often. 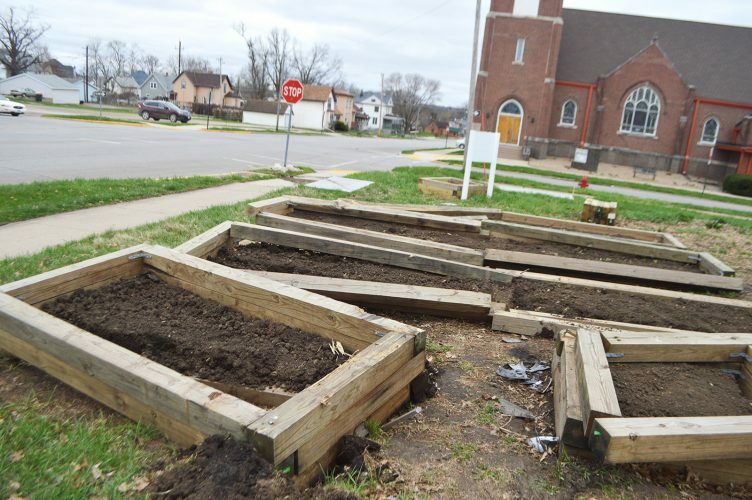 “I feel like we have to be enthusiastic about our community — that’s contagious,” she said. T-R PHOTO BY ADAM SODDERS – Blood Dairy LLC co-owner/operator Melissa Blood, right, led a Marshalltown Schools teacher externship tour of the companyÕs facilities Tuesday morning. The externship tours are taking place throughout the week, as about four dozen teachers learn about local business and industry before heading back to the classroom Aug. 23. CONTRIBUTED PHOTO – Packaging Company of America General Manager Michael Miller, center, spoke with district teachers and staff about what the company does and what they look for in prospective employees.